is this x8 support with adobe flash? can it play zynga poker? 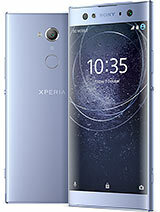 if no support, what other low end or mid end android phone does? michael, 09 Feb 2011my screen keeps adjusting its brightness by itself! help me please how to make it fixed..... ... moreI have the same problem. do this music player in this phone have a equilizer ?? i was wrongly log in the 'MARKET' icon....till than my phone was increase to rm400..... i dunno how to stop it.. could any1 help me in this case? vicki, 08 Feb 2011 hey please tell me about the battery life?the phone battery was a crap.. please provide space for larger batt.. atleast 60% of the phone.. I don't care if its too bulky.. as long as it support the android's hunger for power..
michael, everything OK, X8 have light sensor in upper right corner and automatic adjust brightness. How to record voice with Sony Ericsson XPERIA E15i? my screen keeps adjusting its brightness by itself! should i change the phone? or it's just a software issue??? hey please tell me about the battery life?